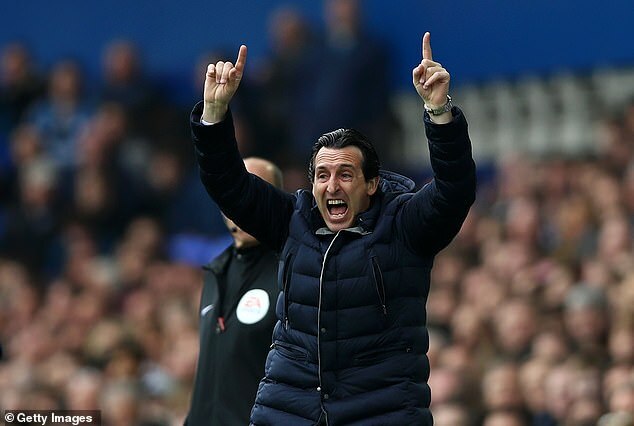 They could be knocked out of the top four by Chelsea on Monday night, although they will have a match in hand and that is what is foremost in Emery’s thoughts. ‘I am in my mind in the same as before the match,’ he said. ‘We know it is going to be difficult and today was a very good opportunity to take the three points and go third, but after the result we are fourth and we need to be consistent. ‘We are going to have chances also in the next matches and it depends on us and on other teams. 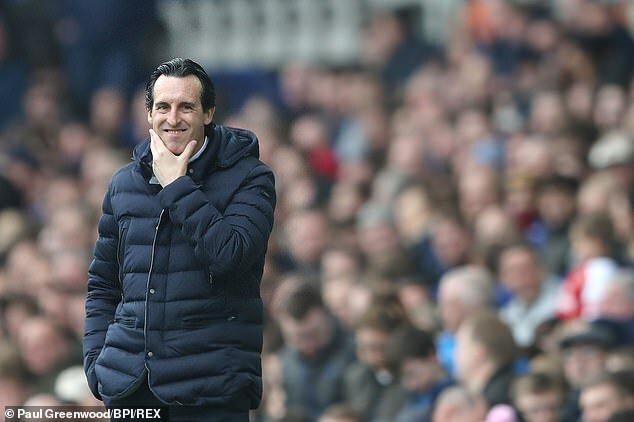 ‘After the result we can be negative because (we have) three points less (than we could have had), but it is in our hands to continue taking chances to be in the top four. After waiting more than two years for a win over one of the Premier League’s big six, Everton now have two in successive home matches. ‘Delighted. 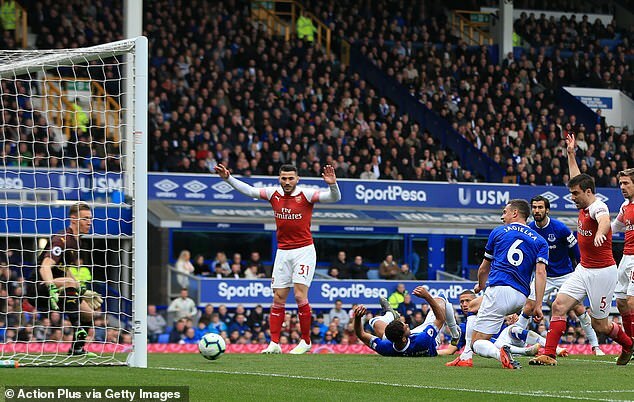 Everything that we did since the first minute, the desire, the fantastic spirit and we deserved the three points,’ said manager Marco Silva, whose side moved within a point of seventh-placed Leicester. ‘We are in a fantastic run apart from the last 30 minutes against Newcastle and we lost that because of an offside goal,’ added Silva. ‘The first three months of the season, we had a fantastic run. We had that period in December and January which were not good months for us at all and we lost some confidence. ‘In that two months, the details were making the difference against us and we worked on that.